This book is primarily designed as a reference book for students. 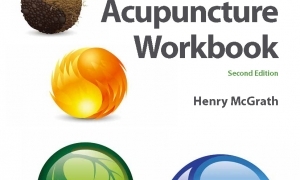 It represents an overview of Naturopathic Medicine and is in no way complete, only a synopsis of this eclectic modality with succinct points rather than detailed analysis. 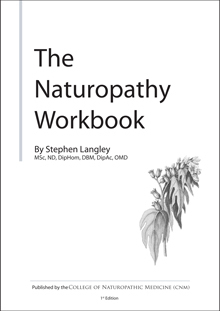 Stephen Langley MSc, ND, DipHom, DBM, DipAc, OMD, is a registered Naturopath, Homoeopath, Acupuncturist and Medical Herbalist. He has appeared on a number of television and radio programs concerning a wide range of health issues as well as being a regular contributor in the press for articles on health and healing. Stephen has studied Holistic Medicine in China, India, Hawaii, Australia, Tibet and Japan and has given talks on Naturopathic Medicine in many countries around the world. Stephen currently has a practice at The Hale Clinic, 7 Park Crescent London, and can be contacted on 0207-631 0156. Web: www.holoshealth.com. This book is primarily designed as a reference book for students. 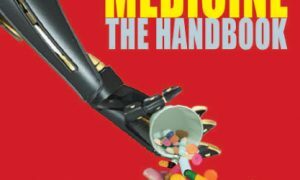 It represents an overview of Naturopathic Medicine and is in no way complete, only a synopsis of this eclectic modality with succinct points rather than detailed analysis. With this in mind, it should be seen as an introduction to this marvellous and life-changing subject and further reading of the many sections contained within is recommended.